The Kavalan ethnic group is also known as the Kuvalan, Kvalan and Kbalan, but the most common name today is Kavalan. It often appears as Gezihnan or Gezihlan in Qing literatures, and later as Kavalan. “Kavalan” means “plains” in the Kavalan language. The Qing dynasty separated the Kavalan people into “ShengFan” aborigines (barbarians not enculturated by Han people), “ShoFan” aborigines (barbarians enculturated by Han people), and “ShengFan behind-the–mountain,” according to their degree of assimilation with Han people. The whole ethnic group was categorized as “ShoFan” after they became “naturalized” in the Qing dynasty in the fifteenth year of Emperor Jiaqing (1810). The Japanese colonial government adopted this categorization, and continued separating Taiwanese aborigines into “ShengFan” and “ShoFan.” Later in the tenth year of Showa (1935), the Taiwan Governor-General Office renamed “ShengFan” as the “Takasago” tribe and “ShoFan” as the “Pingpu” tribe. Japanese ethnologists including Ino Kanori (1900, 1904), Dennojo Awano (1900), Utsurikawa Nenozo (1930), Ogawa Naoyoshi (1935, 1944) and Mabuchi Tôichi (1953), produced a more systematic categorization for the Pingpu people, under which the Pingpu were divided into nine or ten sub-tribes, with the Kavalan listed as one of them. After WWII, the government of the R.O.C. divided aboriginal people into nine ethnic groups to reduce administrative complexity, and labeled them as “mountain aborigines” or “plains aborigines” based on their geographical distribution. However, Kavalan people were not listed under any of these official categories, and were either registered as Han people or plains aborigines, as the Kavalan who lived in eastern Hualien often had Amis spouses. In the late 1980s came the awakening of the Kavalan’s ethnic awareness in Sinshe Village, Fongbin Township, Hualien County: the villagers worked actively to restore their ethnic name through various cultural and political activities. After more than one decade, finally in December, 2002, the DPP (Democratic Progressive Party) government declared the Kavalan to be the eleventh ethnic group in Taiwan. 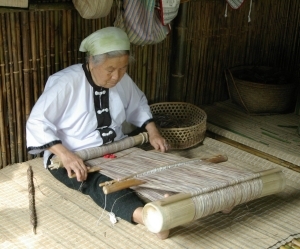 Descriptions about traditional Kavalan life style can be found in Qing literature such as “Kavalan Jhih Lyue” Official Records of Kavalan, “Dong Cha Ji Lyue” Records of Dongcha and “Lan Jhong Fan Su” Aboriginal Customs in Lanjhong. According to their oral tradition, the ancestors of the Kavalan sailed to Taiwan from Sanasai (Sunasai), a southern island. They arrived at Yilan Plain and settled down on the land which they took away from the early Atayal people. The Kavalan people originally resided in a low-lying field with abundant water resources, shielded by Siyue Mountain and the Central Range. As a result, the tribe was free from outside interference before the Han Chinese entered into this area and cultivated the land in the 19th century. During the Kavalan’s most prosperous period, there were about 36 to 40 villages scattered in the south and north of the Lanyang River. However, after Han Chinese began cultivation in this area during Qianlong’s (1735-1796) and Jiaqing’s (1796-1820) reigns in the Qing Dynasty, the Kavalan gradually lost their lands. Between the tenth and twentieth years of Emperor Daoguang, some Kavalan people felt that their space was being invaded by the Han Chinese, and thus launched a large-scale migration. Among the migrating Kavalan, tribes previously located in the north of the Lanyang River, such as Wunuan tribe, moved to today’s Toucheng, while people of Kaliwan tribe, which was to the south of the river, resettled in Suao, Nanfangao, and Hualien Plain. As for those who moved down to Cila Plain, northern Hualien, the majority of them were from the old Kaliwan tribe, and were referred to as the Kaliwan, because they set out from Kaliwan harbor. In the fourth year of Emperor Guangxu (1878), military attaché Hueihuang Chen had conflicts with the Kavalan people, which triggered the “Kaliwan incident.” To prevent further turmoil, the Qing court dispersed the Kaliwan people and they spread to Taitung Longitudinal Valley and Hualien Plain, forming several major villages there such as Sinshe, Lide and Dafong. Archaeological sites show that Kavalan villages are of small and medium sizes, and were of a sedentary nature. Traditional Kavalan society followed a matrilineal system: the husband lived at the wife’s place; children lived at their mother’s place. However, with increasing inter-ethnic marriages with Han Chinese, the tendency to identify with a patrilineal system is on the rise. The Qing dynasty established Tong-Shis (middle men/translators) and Tu-Mus (officers in charge of farm rental) in villages on both sides of the Lanyang River in Yilan to supervise land rental and farming issues. A village head was in charge of the village, and any two villages were independent from each other. Today, the administrative system in Sinshe Village in Fongbin Township, Hualien County includes a village master, village clerk and chiefs of the Lin (neighborhood). In addition, Kavalan villagers also recommend and select consultants, a chief and a vice chief as tribal leaders. The two systems run the village together. The village also has a Youth Club, staffed by a president and a vice president to manage traditional cultural affairs such as the harvest festival. Based on literature and local elders’ accounts, the Kavalan used to have an age-set system. There was a time when Sinshe village exercised division of labor according to the age-set system (slal); for example, the tribal leader would summon young men in the village to build houses or work in other construction projects. However, the system gradually fell out of practice in the late 1960s due to the introduction of new construction materials after the completion of the Coastal Highway, such as steel bars and bricks. In 1991, the Youth Club was once again operating based on the age-set system in response to the demand of performances in the harvest festival. But the system is not closely tied to daily affairs; therefore, from the hosts to other villagers, most people cannot remember how this system works. In the Qing dynasty, the Kavalan people lived on Yilan Plain, which was crossed by numerous water paths and situated next to the sea. Agriculture was their major production method, supplemented by fishing and hunting. They mainly consumed millet, corn, sweet potatoes and animals obtained from fishing and hunting. For today’s Kavalan in Sinshe Village, rice is a staple food and various kinds of seafood such as salted fish, sea urchins, sea cucumbers, seaweed and sea snails are also common dishes on the dinner table, since the villagers are next to the sea. Glutinous rice is a significant component of Kavalan rituals, ceremonies and daily lives, and the custom of brewing rice wine can be found in related literature. As the Kavalan people are increasingly assimilated into Han Chinese culture, they also make glutinous rice dishes such as rice cakes, AngkuKuih (Taiwanese rice cake), Zongzi (a pyramid-shaped rice dumpling) and TangYuan (small rice balls) on Han Chinese festivals. Since 1960, villagers of Sinshe in Fongbin Township of Hualien County have grown cash crops such as betel nuts, citronella grass and fruit trees in addition to planting rice. They thought it would be a strategy that went with the social trend, but the products did not yield the expected profits. Despite the presence of abundant marine resources such as milkfish fry, baby abalone, lobster, seaweed and conches, these products did not bring residents a stable income, due to the lack of a convenient transportation chain. With more job opportunities generated by urban areas after 1960, many young people left for labor-intensive work. However, nowadays young people are returning for the booming tourism industry in the Hualien and Taitong area. The Kavalan people in the Qing dynasty were able to be self-sufficient by growing rice, fishing and hunting. They also sold deer skins and deer antlers to Han Chinese. As for the mixed-colored agate beads they wore as decorations, it is suggested that these may have been traded from Han Chinese, Filipinos, or people from South Pacific islands. We can get a glimpse of traditional Kavalan religion by observing its rituals. The Kavalan’s religion categorizes spirits of human beings and nature into gods, ancestral spirits, mountain spirits, ghosts and evil spirits. Kavalan people believe that diseases are caused by evil spirits which must be expelled by rituals. These rituals include subuli (augury), palilin (an ancestral worship ceremony on New Year’s Day), kisayiz (for teenage girls to become shamans or for female shamans to cure disease), patohokan or patokan/patoRkan (to release souls from purgatory), pakalabi (to cure female diseases), pasniu (to cure male diseases), kataban (a ritual with songs and dances performed after head-hunting), Sacepo (a sea ritual formed under the influence of the Amis) and lalikit (the harvest festival learned from the northern Amis). The introduction of Han Chinese folk religions, Catholics and Christians further complicated the traditional Kavalan religious system. When the Canadian missionary George Mackay preached in Yilan Plain and Huadong Plain, he asked the Kavalan people to give up Han Chinese folk religions and prohibited the worship of gods, as well as traditional Kavalan ancestral worship. During his time as a preacher, there were 25 churches built in Kavalan villages in Lanyang Plain, which indicated the influence Dr. Mackay and Christians had on the Kavalan. Because of the introduction of foreign religions and the Japanese ban, many traditional rituals were no longer performed. Nevertheless, the ancestral ritual palilin was preserved, which demonstrated the Kavalan people’s strong emotional bond with and faith in their ancestors. Beginning in 1987, some traditional rituals such as kisayiz were revived for performances and the Kavalan’s attempts to restore their ethnic name. Wood crafts preserved by National Taiwan Museum are primarily columns and wallboards that are commonly engraved with geometric patterns and realistic images using the intaglio method. Judging from the symbolic meanings of these patterns, the wood crafts might have belonged to the construction of a men’s club. Besides human figures, there are also animal and plant patterns such as deer, fish and betel nuts, representing great harvests and banquets. The exhibit room of the Department of Anthropology at National Taiwan University has a collection of Kavalan pottery jars and zeng (a cooking vessel), decorated with the “Pai” pattern. However, the traditional skills have been lost after the import of Han Chinese glazed pottery. 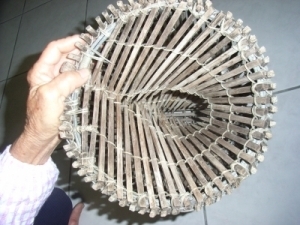 Banana fiber weaving is unique to the Kavalan. 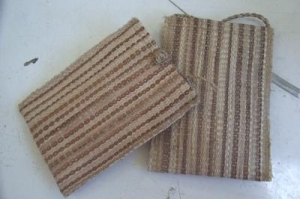 The raw materials must be first extracted from the banana skin and woven into warp and woof, and then organized into threads so they can finally be applied to a weaving machine. Because the skill is rare and the raw material is different from what is used by people in the Philippine Islands and the Ryukyu Islands, it is regarded as an important represent of the Kavalan’s traditional crafts and is often demonstrated in cultural exhibitions. Kisayis is a traditional Kavalan disease-curing ritual, and was put on the stage for the first time at “The Night in Fongbing,” held by Taiwan Municipal Museum (today’s National Taiwan Museum) in 1987. Ever since then, it has become the focus of the event. In addition, the "Harvest Festival” was also revived because performing chances have increased through multiple invitations from various cultural activities, and also because of the Kavalan’s aspiration to unite their people. However, most Kavalan people now are not able to recall the exact details and process of Kisayiz and the Harvest Festival, as a result, the performances we see today have been edited and modified by the Kavalan, and have transformed from religious ceremonies into tourism performances. “The Night in Fongbin” was launched in 1987, and also in the same year, a Kavalan descendant Wanlai Jie in Sinshe Village began his journey to search for other members of the Jie family – the two movements laid the foundation for the future cultural revival and ethnic name restoration campaign. The Kavalan people’s ethnic name restoration campaign includes both official and unofficial petitions and protests, with traditional cultural performances also serving as one of their strategies. Through promoting the Kavalan’s unique music, dances, rituals, crafts, skills, traditional food and diet, the ethnic group is able to gain more visibility and further enhance the impression that the Kavalan is an independent ethnic group whose traditional culture has been carefully preserved. 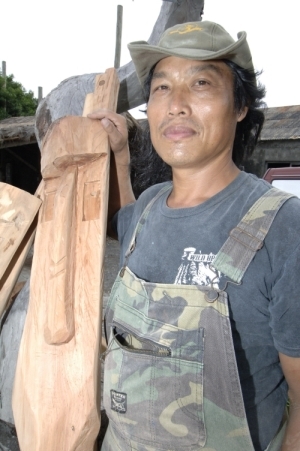 A series of ethnic name restoration campaigns have been led by the Sinshe people in Fongbin Township, Hualien County. 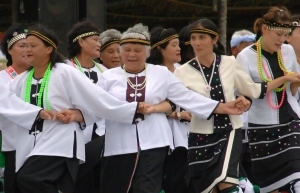 They have founded a number of organizations to arrange relevant activities, and these organizations include “The Development Facilitation Association of the Kavalan Tribe in Hualien,” the “Kavalan Cultural Foundation,” the “Ethnic Name Restoration Facilitation Association of the Kavalan,” and “The Kavalan People’s Friendship Club in Northern Taiwan”. The Kavalan also participate actively in various cultural events such as the abovementioned “The Night in Fongbin,” as well as “In Memory of Kailan - Series Events for the 195th Anniversary,” “Series Events in Memory of the 200th Anniversary of Kailan,” as well as traditional singing and dancing staged at the National Theater and the National Concert Hall. In addition, the Yilan County government also supports the drafting and teaching of a mother-tongue curriculum and has invited Sinshe villager Wanlai Jie to teach the Kavalan language in Yilan. 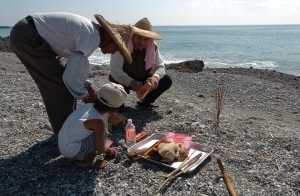 Through recalling and rebuilding the Kavalan people’s knowledge of traditional rituals and ceremonies, these cultural events enable the people to share a common memory of the tribe and deepen their recognition of their Kavalan identities; furthermore, they can have more interaction with other Kavalan people outside the Yilan area. The ethnic group‘s awareness can thus be raised. In the 19th century, Yilan Plain was a place inhabited by multiple tribes. However, the land cultivation of Han Chinese from Fujian, Guangdong and Jhangjhou together with the other Pingpu people in western Taiwan who migrated beyond tribal borders in groups both changed the population landscape. Whereas the Kavalan originally settled on the plains, the Atayal resided in the mountains. In the first year of Emperor Jiaqing (1796) of the Qing Dynasty, Han Chinese gradually moved into the buffer zone between the Kavalan and the Atayal and pushed the border into the mountain areas. Between the ninth year and the fifteenth year of the reign of Emperor Jiaqing (1804 – 1810), the land cultivation of the western Pingpu, led by Sianwun Pan, once threatened Han Chinese power there, but later, Han Chinese took the Pingpu’s lands and put them on the less advantageous side instead, since the Pingpu people were not protected by the land policy. During the reign of Tongzhi (1861-1875) and Guangxu (1875-1908), the Pingpu people abandoned their homes and took loans from Han Chinese to cultivate the Sansing area with the Kavalan people. 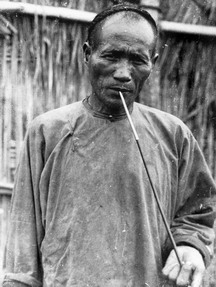 As for the Kavalan who at first owned vast lands, they found their lives in difficulties after many Han Chinese robbed or cheated away their lands, and some were forced to migrate to the Hualien and Taitung area, while the remaining people were either enculturated by Han Chinese, or retreated to remote areas – Han Chinese thus became the dominant ethnic group on Yilan Plain. Today in Yilan County, many Kavalan people are unaware of their identities, either because of intermarriage with Han Chinese, or due to their ancestors intentionally disguising of their identity. On the other hand, the Kavalan people who moved to Hualien and Taitung, where few Han Chinese resided during the reigns of Daoguang and Guangxu (1840-1875) were able to preserve the mother tongue as well as several rituals, owing to inner-tribe marriages. However, since their settlement has neighbored with that of the Amis tribes, which gave rise to the two groups’ intermarriage, many Kavalan people in Sinshe Village today have kinship ties with the Amis. Therefore, both “pure-blood” Kavalan and many Kavalan people with Amis blood consider themselves Kavalan due to their involvement in tribal affairs and ethnic identity. Owing to their frequent interactions with other ethnic groups, Sinshe villagers can speak Taiwanese, Amis, Japanese and Chinese, among others. Starting in 1970, Sinshe Kavalan who worked in northern cities established the “Friendship Club for Sinshe Kavalan,” scheduling regular activities to strengthen ties among their people.